Home » News » National » Where are the children? Adoption concern: The Australian Institute of Health and Welfare’s Adoptions Australia 2013 – 2014 report shows only 34 children were legally adopted in Queensland. ADOPTION supporters are convinced greater access to abortion is a leading factor in new statistics showing Queensland’s adoption rates have halved in the last decade. 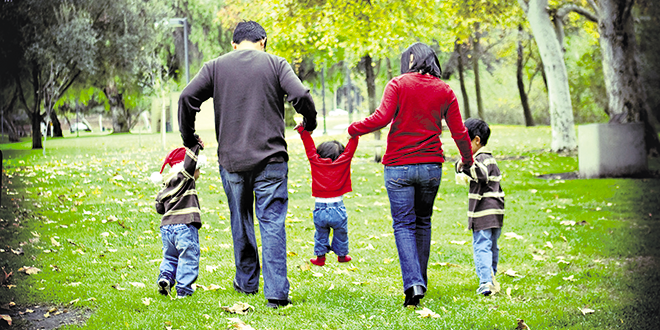 The Australian Institute of Health and Welfare’s Adoptions Australia 2013 – 2014 report shows only 34 children were legally adopted in Queensland. Nationally, just 317 children were adopted in Australia, either through local or intercountry adoptions. AIHW spokesman Tim Beard said social factors such as increased contraception access, single mums preferring to keep their babies, increase in long-term foster care, and “social acceptability” of having children outside legal marriage contributed to the adoption decline. Mr Beard denied that abortions have had a serious impact on the number of children available for adoptions “because abortion statistics don’t exist in Australia”. “There are no definitive statistics on abortions, and we believe social factors outside of abortions play a much bigger role in the decline,” Mr Beard said. Medicare abortion statistics state 3621 women and two men from Queensland had abortions between July and October this year claimed rebates of $1,953,438. Another 105 women who had abortions during the second trimester claimed rebates totaling $30,266 between July and October. The statistics do not include abortions performed in institutions not funded by Medicare, including public hospitals, clients who didn’t claim rebates or women who used pharmaceutical abortifacients. Cherish Life Queensland state president Teresa Martin said the increase in abortions had an obvious impact on declining adoption rates. “It takes little to work out that as the rate of use of the birth control pill and the easy access to abortion rose, the rates of babies for adoption fell dramatically,” Ms Martin said. Ms Martin agreed with AIHW’s list of contributing factors for declining abortions but maintained “the vast majority of babies that should be available for adoption are being aborted”. Women’s Forum Australia, which has released a new 112-page report on adoption, have also encouraged social and political reforms into current adoption processes. WFA managing director Kristan Dooley said unplanned pregnancies were once “solved by adoption” but now “approximately half end in abortions”. Adoptive parents “Katherine and Peter” “dreamed of having a big family” but had “unexplained” infertility problems despite going through natural fertility program Napro. The couple decided to adopt, as it was “naturally the next step in our journey to grow our family”. They received their first daughter “Marie” through the Queensland system. Katherine said the adoption process took three years and cost less than $600. She said the perception that adoption was a long and expensive process was not their experience. She said there was a much lower number of couples waiting for adoption approval because the number of available children was so low because of pro-choice options. “IVF rates and abortions have had a big impact on the number of babies alive for adoption,” Katherine said.